Early in 1916, the Imperial Russian government sent Zamyatin to supervise the building of a number of icebreakers that were to be used in Arctic waters, now that the German Navy controlled the Baltic. These ships were to be built in the Armstrong Whitworth shipyards at Low Walker, in Newcastle-upon-Tyne, and in the adjoining Swan Hunter shipyards at Wallsend. Armstrong Whitworth had built all the guns on the Japanese warships that had destroyed the Russian fleet ten years earlier. 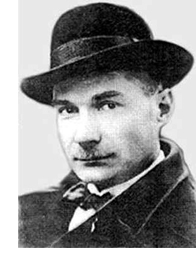 Zamyatin spent nearly two years in Newcastle: it was Zamyatin’s war experience. Often in the evening as I was returning from the yard in my little Renault, I would be met with a dark, blind city, all lights extinguished. This meant that German Zeppelins were about and their bombs would soon be crashing down. At night, sitting at home, I would listen to the explosions, some far away, some near at hand, as I checked through drawings [of icebreakers] and worked on my novel about the English (quoted Myers 70). This was from a brief fragment of autobiography (see Ginsberg); the “novel about the English” is Islanders. The novel is not so much satirising the conformity of Newcastle society as, specifically, the middle-class society of Newcastle’s inner suburb Jesmond. By Sunday, the stone doorsteps of the Jesmond houses had been scrubbed to a blinding whiteness. The houses were of a certain age and smoke-begrimed, but the steps were gleaming rows of white, like the Sunday gentlemen’s false teeth. The Sunday gentlemen were produced at one of the Jesmond factory and on Sunday mornings, thousands of them appeared on the streets with the Sunday edition of St Enoch’s parish newspaper. Sporting identical canes and identical top-hats, the Sunday gentlemen strolled in dignified fashion along the street and greeted their doubled. “Lovely weather, isn’t it? “Oh yes, much better than yesterday” (quoted Myers 72-73). Ironically, for all that he felt he was an outsider, when he returned to Russia in 1917, he came to be known as “the Englishman”: he wore tweed suits, cultivated a small moustache, and smoked a pipe. In his letter to Stalin in 1931, asking permission to emigrate, he claimed to be able to write English almost as well as Russian, and said that he might end up as an English novelist, as the Polish author Joseph Conrad had done. Newcastle itself is so unpleasant. All the streets, all the houses, are identical, do you understand me—completely identical, like the grain-barns in Petersburg, near the Alexander Nevski monastery. As we were driving past, I enquired, “What are these warehouses?” “They’re dwelling-houses…” Next day it turned out to be possible to go to London; it was about a six hour journey. And the very same identical barn-like towns flashed by. Horrible lack of imagination (quoted Myers, 74). Within these great glazed halls by the river, buffeted by the wind and besieged by the sea-birds whose cries echo throughout We, thousands of shipyard workers went about their business in more or less identical dungarees, ruled, in Taylorian fashion, by the clock. They took their breaks in groups and walked about in great throngs to and from their workplace—and indeed within it, a picture familiar from the newsreels of two world wars. Each individual had a works number and, as Alexander Rayner confirms, clocked-in and out with his or her own numbered card. At lunchtime, each worker was issued with the appropriate numbered disc, to be handed in on retiring to the shipyard (male and female employers, however, were not distinguished by number or letter, as they are in We). It is, I think, reasonable to suppose that Zamyatin had this procedure in mind when conceiving his own system. To the best of my knowledge, We is the first novel ever written in which the characters are known solely by letters and numbers. I am essentially summarising here Alan Myers’ article “Zamyatin in Newcastle”, Foundation: The Review of Science Fiction 59 (Autumn 1993), 70-78.